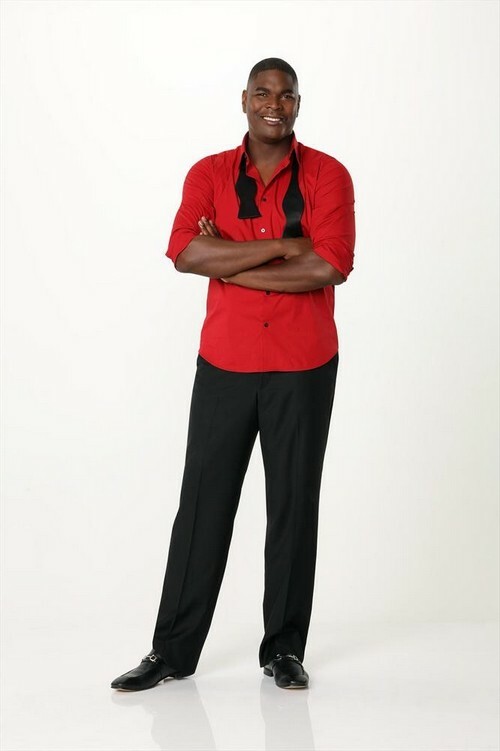 Meet Keyshawn Johnson, one of the cast members of Season 17 of Dancing with the Stars. Keyshawn is best known for being an NFL player and Super Bowl champion, having played with the New York Jets, Tampa Bay Buccaneers, Carolina Panthers, and Dallas Cowboys. Keyshawn also has a foundation that supports scholarships for education and programs targeted towards youth education. He is a graduate of USC, and he currently lives with his girlfriend and four children in California. His partner on Dancing with the Stars will be Sharna Burgess, who is joining the show as a professional dancer this season. She was previously part of the DWTS troupe and has been with the show three seasons, but it will be interesting to see how she’ll fit into her new role. Are you guys rooting for Keyshawn and Sharna, or do you have another pairing in mind? Let us know in the comments.